Ivy Barley is a Ghanaian lady who has refused to be pushed to a corner by the narrative that ladies are not cut out for Science, Technology, Engineering and Mathematics (STEM) related courses. Not only has she graduated with a Bachelor’s Degree in Actuarial Science, but also has a Masters’ Degree in Mathematics and Statistics. “Generally, society has the perception that STEM subjects are not meant for women. During my undergraduate studies, I was one of the few women in the class. Though a number of women have an interest in the subjects, they tend to be discouraged along the line and dropout,” she says. A 2016 gender forum held in Nairobi by UN Women, the United Nation’s organization dedicated to gender equality and empowerment of women, found out that despite Kenya’s significant progress in achieving gender parity in education, women remained significantly underrepresented in STEM. UN Women discovered that educational constraints, cultural norms and gender prejudices influence opportunities and choices. This severely reduces the number of women who enroll, complete studies and are employed in their field of expertise in the courses. Barley nonetheless believes that with practical training, girls can be inspired into these subjects. In 2016, she worked at an all-girls pre-university where her role was to assist the girls with Mathematics, Statistics, Physics and Programming. “The notion at the time was that female students hated coding. Rather, the girls were very enthusiastic about coding,” she says. Even though she left the school months later, memories kept ringing in her mind that she needed to demystify the perception that women lack a place in STEM fields, hence had to focus more on the area. 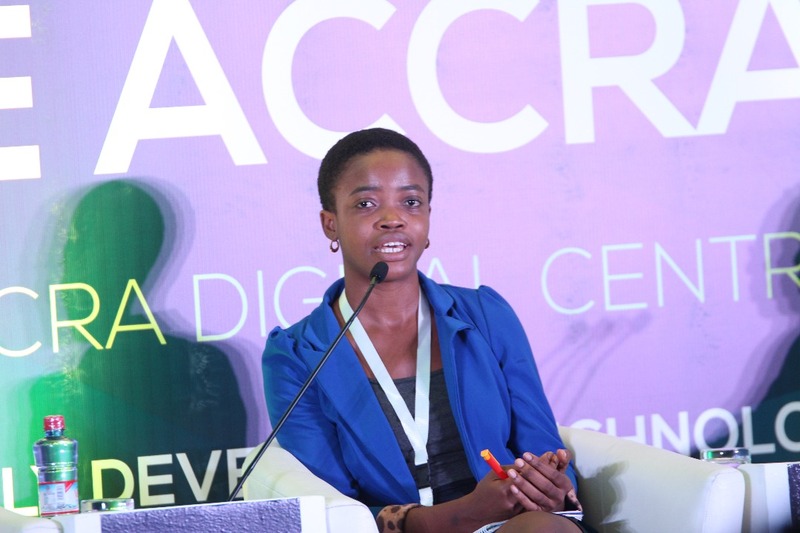 She thus founded Developers in Vogue, an organization that creates a community of highly skilled female developers who are passionate about using technology to revolutionize Africa and beyond. Through a team of professional trainers, Developers in Vogue has boot camps that offer an opportunity for young ladies registered with the organization to learn web development. Boot camps have sessions that are a combination of on-site, online and group projects. And participants are expected to complete all course modules before graduating to the next stage of the programme. The enterprise accepts applications from females of at least 16 years of age, who are able to bring a laptop for all on-site sessions and are willing to commit to completing all activities including participating in group work, submitting assignments and community service projects. The applicants should also be willing to apply the skills learnt during sessions either through freelancing, working in or starting a tech firm, thereby continuing in developing the industry. “At Developers in Vogue, one of the ways of solving this (apparently low female attitude to STEM) is making our curriculum very practical and project oriented so that ladies can apply what they are learning in real life. “We also assign dedicated mentors to them to provide guidance and support. These we have realized to be very helpful to these ladies and have increased their interest in the disciplines,” Barley says. On-site sessions of the programme include critical thinking, profiling of African techpreneurs and coding; these are supplemented by online activities via the enteprise’s online learning platform and tutor support. Then there’s pair programming, where two ladies share a workstation. Barley says the activity increases code quality since there’s better diffusion of knowledge and skills, thus creates a learning environment where ladies can code, connect and elaborate. After training, the social enterprise creates job opportunities for its applicants either through; freelancing, internships or full-time jobs, Barley affirms. So far, she says they’ve trained more than 100 women and exposed them to opportunities in the technology space. They have also run digital skills training for 1,100 young ladies in six months. To inspire innovation, the enterprise runs a ‘hackathon’ competition where leading innovators win a cash prize. At least six participants from the first cohort won the cash prize for building a waste management app. They were also given an office space and mentorship, and have started a business out of their idea, she says. Also, the enterprise not only matches the ladies to jobs, but also creates a community of women who support each other. The community, branded sisterhood, includes beneficiaries who help each other with technical skills for development. In cognizance of its relevance in society, the national government in Ghana gave the social enterprise an opportunity to use the Accra Digital Centre for free, a place where it now hosts its coding boot camps. Mid 2017, Barley’s enterprise emerged top in the prestigious ‘E-Skills for Girls Competition,’ an initiative of the German government that aims at tackling the gender digital divide by increasing participation of women and girls in the digital economy. She won the top prize, which includes 15,000 Euros (US$18423) cash, laptop, mentorship from Google and also the opportunity to meet German Chancellor, Angela Merkel. “It was such a humbling experience for our team because at that time, we just had an idea and no track record! With the 15,000 Euros grant, we used part of the funds to organize our first coding bootcamp for 20 females in Accra, Ghana of which 14 of them have been matched to jobs and projects. We have been bootsrapping since we started our social enterprise, as we want to be able to make very good of our resources in order to have a significant impact,” she says. It’s apparent some experts, such as Mitzi Montoya, dean at College of Technology and Innovation in Arizona State University, agree with Barley’s concept of improving science education. In a random question to professionals by The New York Times on any single change they’d make to improve science education in the U.S, Mitzi replied: “Well, actually, all education- it would be to center it around solving real problems and making things. In other words, we ought to be creating innovators and inventors at our engineering schools. They need to be able to do something more than solve theoretical problems when they leave us. To the Ghanaian youth, her concept must spread all over Africa, changing perceptions and creating positive attitudes in women. “This is impact; and the kind of stories we want to tell in Africa: the stories of bold African women who are taking the lead in unconventional fields,” says Barley, who was named one of 50 Most Influential Young Ghanaians in 2017.